Big baking plans turn into tiny little cupcakes when Mia gets a fairy’s help for her neighborhood bake sale. 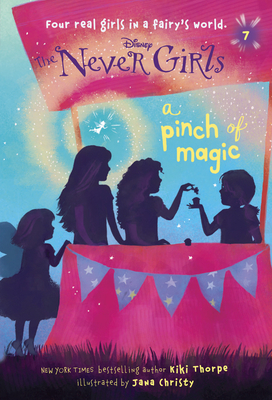 Tinker Bell and the Disney Fairies star in a magical early chapter book series for readers ages 6 to 9—The Never Girls! KIKI THORPE spent much of her childhood reading, daydreaming, and searching for fairies in the forests of Idaho—pastimes that were good training for writing children's books. She is the author of several books for young readers, including the New York Times bestseller In a Blink, the first book in the Never Girls series. She lives with her husband, Greg, and their two children in San Francisco.